Allison is a grain farmer, and a director with Alberta Pulse Growers and Pulse Canada. She and her husband of 30 years, Michael, operate a third-generation grain farm near Sylvan Lake, Alberta. The Ammeters crop approximately 1,600 acres in a rotation of canola, wheat, barley, faba beans and peas, practicing minimum tillage and using variable-rate seeding technology. Due to the location close to the Rocky Mountains, the farm experiences an extremely short growing season every year by North American standards. Allison is past-chair of Alberta Pulse Growers, current chair of Pulse Canada, and also served as Canadian chair of the International Year of Pulses 2016. Her goal is to serve the pulse growers and industry in as many ways as possible, encouraging farmers to GROW MORE PULSES and the food industry to USE MORE PULSES. Trevor is CEO of Economic Development Lethbridge and has vast experience in the agri-food and manufacturing sectors. Trevor holds a Bachelor of Commerce degree with a major in human resource management, has completed a change leadership certificate with Cornell University and is a certified human resources professional through CPHR Alberta. He is also a certified logistics professional through the Canadian Institute of Traffic and Transportation. 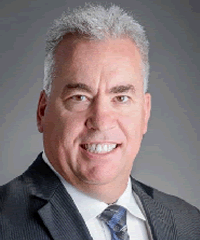 Prior to joining Economic Development Lethbridge, Trevor was the manufacturing director of the Western Canada supply chain for PepsiCo Foods Canada (Frito-Lay plants.) 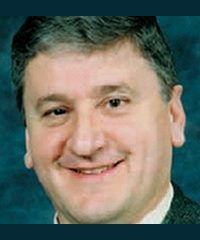 Through his career with PepsiCo Foods Canada, Trevor held progressively more senior management positions and was responsible for three manufacturing plants in southern Alberta. His experience in industry, as a small business owner and in the public sector provides Trevor with the ability to bring a robust perspective to his position at Economic Development Lethbridge and has helped enhance initiatives that drive economic growth in southern Alberta. Brian has been reeve of the Municipal District of Taber since 2010 and was first elected as a councillor in 1998. He also serves as chair of the Alberta Irrigation Council. 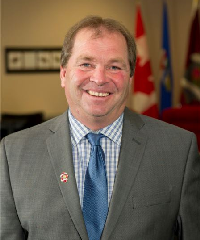 Brian has an extensive background serving on boards and commissions, including the Taber Agricultural Service Board, the Highway 3 Water Line, the Highway 3 Economic Development Association (Twinning), and the Provincial Agricultural Service Board. Brian and his family operate an irrigated mixed farm in the Purple Springs area that has been in the family for three generations. Carlo has been a leading voice in debates on recent Canadian free-trade agreements and development of trade infrastructure. He has a reputation for big-picture thinking and is a leading global expert on pan-Pacific trade, including the Trans-Pacific Partnership and Pacific Alliance trade blocs. 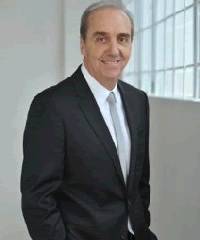 Carlo is one of Canada’s leading commentators on North American competitiveness and Canada-Mexico relations. He is a highly sought-after media commentator throughout North America. Scott is a partner in MLT Aikins LLP, a full-service law firm of more than 240 lawyers with offices in Vancouver, Calgary, Edmonton, Regina, Saskatoon and Winnipeg. Scott has over 20 years’ experience in providing legal advice in the agri-business sector, particularly with widely held companies, on corporate finance, securities and corporate governance. He has also been active in securing legislative change to promote the growth and development of agribusinesses. Scott has been recognized as a top lawyer in agribusiness in Canada by Chambers Canada. 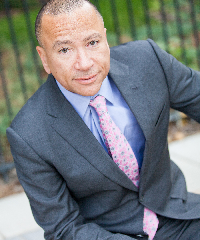 Corey has helped companies and organizations think strategically and focus on key success factors for over 35 years. He worked in the banking industry for 25 years, at one point managing a portfolio of a $100 million. He served as vice-president, business development, with an early-stage technology company and as senior investment manager with a private investment firm. He formed his own management consulting company in 2003, Keith & Associates, that provides strategic business perspectives. 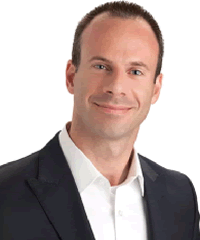 Corey also founded and served as president of AVNet, a not-for-profit “angel” investor group that connected Alberta companies with a national network of more than 150 private investors. 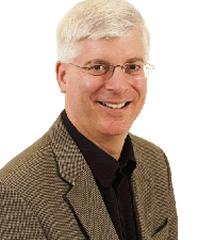 Corey is a past director of the Mississauga Technology Association, the Toronto Biotechnology Incubator and the Alberta Agrivalue Business Facilitators. 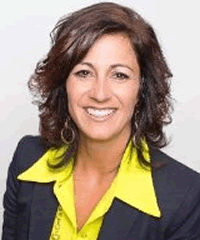 Sandra’s specialty is creating strategic business connections with industry, government and business. As the vice-president of external relations and chief development officer at NAIT, she and her team create meaningful relationships with industry through the development of unique strategic partnerships and programs, and in fundraising and alumni relations. 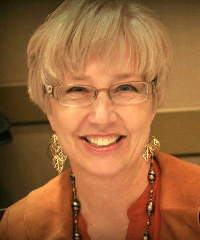 Previously, Sandra spent more than two decades working in various marketing, media and communications roles, primarily with the Edmonton Journal and Postmedia Network Inc. She has extensive not-for-profit board experience and governance training, and currently serves as the past-president on the board of the Ronald McDonald House Northern Alberta. Dennis has been involved in the agri-food sector for the past 35 years, providing strategic advice to many global organizations active in the food and beverage industry. He has traveled extensively in Asia, Europe, South America and the Middle East in search of the very best when it comes to innovation in food. He has led missions of business executives, scientists and food professionals seeking to establish deeper international connections, business relationships and collaborations. He maintains a strong and active network of food professionals, many of whom are recognized as leaders in their field.